WARNING: This post contains some distressing images of me safety testing my doll. Do not scroll down if you prefer not to see them. So today I finally carried out the physical CE testing on one of my dolls that I have been talking about doing for months. It was traumatic. 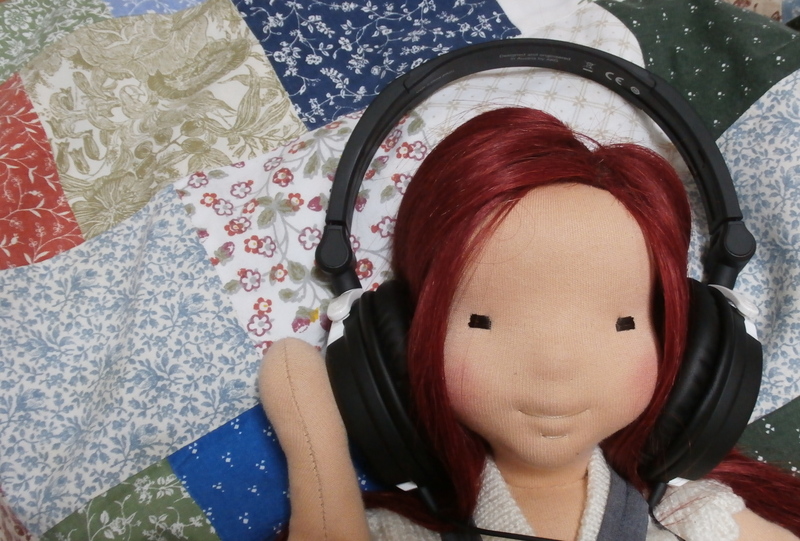 But my doll design passed the test. From the beginning, I made this doll differently from others. I created it a sturdily as usual but with no regard to how it looked, and I worked as quickly as possible without thinking about the character I was creating. I hadn’t realised how much life and personality goes into a doll before it is finished, until I tried to make one without that investment. It felt wrong. But I managed, and here it is. The idea behind the safety testing is to prove, as far as is possible for individually made dolls, that the doll is safe for children. There are many hoops to be jumped through to gain the CE toy safety standard, but I feel that it needs to be done. Once complete, this proces will tell parents that it is safe for their children to play with these dolls. The certification involves a combination of physical testing of the finished doll, chemical testing and/or certificates to show the chemicals used in the production of the materials (this is not testing that I do but information that I gather and store), and collating of evidence to show the consistency of design and materials and methods of production. This means that I do not have to physically test every doll made to this exact specification, only the first. But other designs or changes will need to be retested. …and hang specific weights (tins of tomatoes in this case in a bag suspended below) from each type of seam to test strength. This was especially painful, and I ended up not looking most of the time. I have to say my doll looked pretty unchanged after these, except from some oil that rubbed off the clamps. But the fire testing was the worst. I had to try hard to distance myself from what I was doing, and in the end it was quite interesting. These are natural materials I work with very often, and have for years, and it is good to know how well they perform under pressure. When I first followed the strict guidelines for flame testing, my doll didn’t actually catch fire at all. So I decided to push it a little further to learn if it would burn. And it did. So for those of you who’d like to know, here are some photos. Before I burnt anything I made sure I had a big bucket of water, a fire blanket and a fire exsinguisher handy. I DO NOT SUGGEST YOU DO THIS AT HOME. BURNING THINGS IS DANGEROUS. AND HORRIBLE. Actually the clothes burnt better than the doll, which is why I had to test it dressed. The surface of the doll fabric will burn if you hold a flame directly too it, but the flame burnt itself out pretty quickly. I tried to test the hair but it wouldn’t catch at all with this size flame, it just fizzled up. Here is my poor wee one after the testing. As you can see the outer fabric burnt but the wool stuffing barely caught at all. I’m glad I know this, but I don’t ever want to do it again! All of this suffered and I still have the clothes to test, but at leat they have no faces. I made a little cereal-box coffin and put the remains inside. It is still on the worksurface in the kitchen as I can’t bring myself to throw it out.